The reason we all purchase insurance is in the event of a claim, we want the insurance to pay for the loss. However, insurance companies are often notorious for paying less than what the consumer felt was right. Right? How many times have you heard someone complain about the amount their insurance paid? Probably often, and in fact, it is probably the biggest stigma attached to insurance itself. Several factors determine how the loss will be paid and how much will be paid. Yesterday we talked about Replacement Cost and Actual Cash Value. That might be the biggest factor of how much the insured (you) will get back. But more importantly, today let’s discuss the “law of indemnity”. 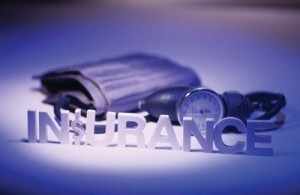 Insurance is highly regulated by the law to protect the insured and the insurer(company). The law of indemnity is basically the soul reason for having insurance. Indemnity simply means to make whole again. The law of indemnity means that the insurance company will need to make you feel like your loss never happened, financially. Of course your deductible would apply but aside from that, you should return to the same place you were before the loss. The law of indemnity will also state that you cannot profit or lose as a result of the claim. You must be as close as possible to where you were prior to the loss. For example, You have a Replacement Cost iPod Touch Policy with Worth Ave. Group. You purchased your 16GB iPod for $199. The iPod was stolen. The current 16GB iPod costs $229. You would be paid the $229 amount because a.) You have Replacement Cost – current market item at the current market value. b.) the law of indemnity states you must be returned to where you were before the loss. Bottom line – You have the same iPod now as you did before and you were paid the full amount it costs to replace it. The law of indemnity is possibly the most important part of insurance, in my opinion. This is what helps the insurer return to the place where they were before the loss. And THAT is exactly why we purchase insurance in the first place.